Control over current work concerning creation of building projects and design, its accordance with Constructional Norms and Regulations and other standards. Control of quality of used materials, metal, ferro-concrete and other constructions, accordance with Constructional Norms and Regulations, Technical Conditions etc. Accompaniment of building, analysis and control over quality of calculation documentation for building materials and constructions. 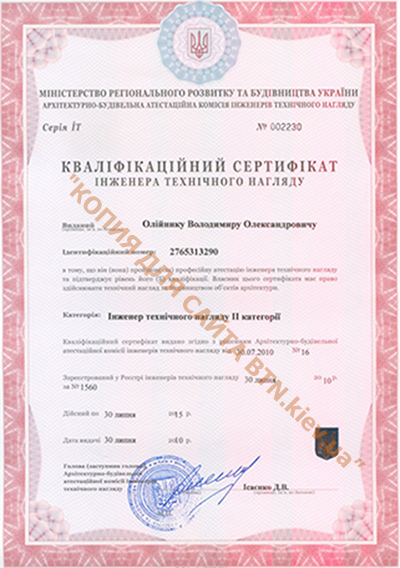 Examination of documents which prove quality (quality certificates, technical passports). Control over accomplishment of all conditions described in technical documentation. Supervision over accomplishment of calculation expenses and avoiding unreasonable increasing of building cost. This excludes and minimizes additional expenses for work and materials. Extinguish, witness and assessment of hidden work within building which are followed by hold-up in process or problems with appropriate exploitation of building. Completing Acts for testimony of hidden work. Control over removal and further avoiding of hidden work without agreement with a customer. 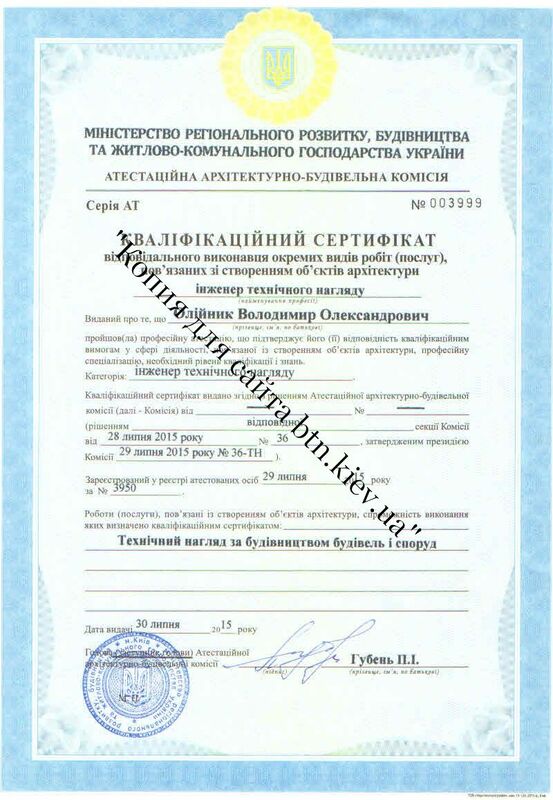 Completing, examination of prior executive documents, schedules of assembling of all engineer systems. 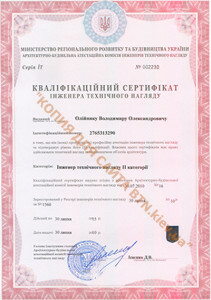 Correction of documentation in case of extinguishment of mistakes or defects while work accomplishment in the process of technical supervision over building. Control of accordance of work with directions of authorial supervision and customer’s requirements concerning quality and amount of building materials/work. Accompaniment of building with the purpose of extinguishment of mistakes, defects, unfinished work on any level of building and finishing the project. Current accounting and control of expenses according to agreed calculations, extinguishment of non fulfillment of norms of material expenses on a building area. Technical supervision over building in accordance with agreed sizes and prices in project and calculation documentation for building and design materials. Control of radiation of used materials.